Gentleman, welcome to the Brine Swizzbeat Shaft Review, we hope you enjoy this fine piece of lacrosse goodness and be sure to let us know what you think below. Getting into it, one of the most compelling features of the Brine Swizzbeat is the raised-grip WEB graphic. This grip won't let rain, snow or sweat mess with your control and grip of the stick, basically allowing maximum control. The low fade point on grip allows you to quickly move your hands into whatever passing or shooting position you need. Sniping goals or making crisp passes, the Swizzbeat has you covered. 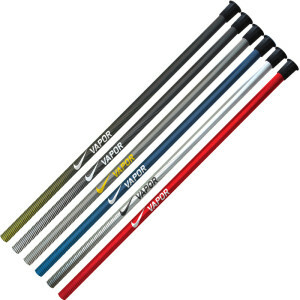 As with any great shaft, this baby has the perfect blend of lightweight and durability. This shaft is the attack version and is 30″. Scoop it up today! Welcome back to another edition from Lacrosse Scoop, today we will have the Nike Vapor Shaft Review. Alright so this is one of Nike's first shafts, and is part of their Nike Vapor line that includes gloves, heads, and other lacrosse equipment. This shaft isn't too shabby. It's pretty lightweight, and is built from a high-strength 9000 alloy. It's not the best lacrosse shaft, but it'll do. They designed the shaft to have more rounded edges, so the profile will be more comfortable and controllable, and overall smoother when switching and moving your hands around. The texture of the shaft is sandblast, which is supposed to help with the grip. Nike did a pretty decent job with this shaft, and we definitely think it's worth the price. So go scoop it up today! 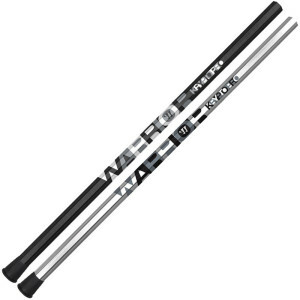 Welcome to the Warrior Krypto Pro Shaft Review. This bad boy graciously comes as one of the lighter lacrosse shafts you can buy on the market. 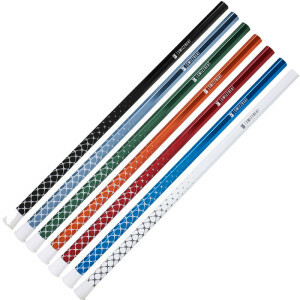 The Krypto Pro series boasts an overall 24% stronger and 8% lighter shaft than the Kryptolyte standard shafts. Alloy is the name of the game, and the Krypto Pro is made of a brand new K-Pro, very sturdy and high end extremely light alloy. Tons of laxers out there keep saying the Krypto pro “Floats in your hands,” which very well may be true. The feel of this thing is off the charts, and it's going to be sturdy as hell taking on heavy checks. Scoop her up today! Hello and welcome to the Warrior Regulator Gloves Review. Warrior has done it again. These gloves are the bees knees! Wait, no one says bees knees anymore? Thanks for checking out the Warrior Regulator Gloves Review and we hope that Lacrosse Scoop can help you make a more informed buying decision before dropping a Benjamin or two on your new set of lacrosse gloves. 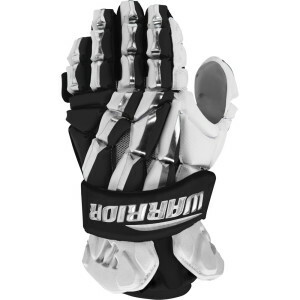 Moving onto the Warrior regulator gloves, these are definitely one of their best gloves yet. The reviews around the web are totally favorable, and here is why. First off, the flexibility on these is fantastic. All thanks to the new Diamond Backhand Pattern, which is Warrior's patented system to allow maximum flexibility. Tying into that, they seem to just fit very well, and Warrior says it's because of the new DBP technology they introduced. Next update Warrior introduced is the new compression molded cuff– This is going to reduce the overall bulkiness and weight to the gloves. I know what you're thinking, what about the reduction in protection? Nope, no loss in protection. These babies will take a hard check just fine! These were actually developed by Warrior to be there absolute lightest glove they've ever released. They wanted the Warrior Regulator gloves to be the new standard that you look for when seeking out a light-weight, high performing set of lacrosse gloves. Moving onto the ventilation. The Regulators were made with huge vent holes in the back-hand and palms– These are designed to improve the overall airflow throughout the entire gloves. Will your hands sweat? Sure. But they are designed to wick away the moisture and keep your hands cool and dry. Alright alright, so what's the downside? Well, Warrior has definitely provided a lightweight, yet protective set of gloves– But that's going to come at a price. First off, the pricetag. These are pretty costly, but thankfully we've shopped around for you and found the cheapest price for you! The second price you'll have to pay is in durability, primarily the palms. The small amount of stitching on the gloves seems to lead to some pretty quick wear in the palms. And there you have it– The Warrior Regulator Gloves Review. These gloves are a pretty darned set of gloves, and you can't really go wrong with them. Be sure to leave your comments below and we'll see you next time. Lacrosse Scoop– OUT! Thanks for checking out the exclusive Maverik Rome Gloves review! You can find the Rome Goalie Gloves review here. The Rome is the peak of Maverik's technology. DuraStretch fibers in the palm and fingers for unhindered flex and air flow. Seamless palm for comfort. Sharkskin durable palm. XFoam minimizes impact while a Thermoblast coating ensures maximum cool and comfort. One of the first qualities to speak about for these gloves are the new DuaStretch fibers in the palms and fingers which allow for unhindered flex and airflow. These were inspired and actually insisted on by Johnny Christmas, the great professional lacrosse player. Another addition to the palm you will notice is the SharkSkin that adds more durability and grip. The last technologies introduced for the Rome Gloves are the XFoam, which is supposed to minimize impact, and the Thermoblast coating, which ensures maximum cooling and comfort. I'm not sure about all of these wild names that Maverik is coming out with for all of their technology. Are they really necessary? Well let's get past the names and the technology, and down to the bread and butter of the gloves. Protection, these things are great. Durability, check. Flexibility, you bet. The largest issue with these gloves seems to be the ventilation. There isn't enough airflow through the gloves and they turn into little hand ovens. Other than that, they check out just fine. The very last thing is that they run small– so be conscious of that. And there ya have it! The Maverik Rome Gloves Review is now complete. Let us know what you think about these gloves in the comments section, and we'll see you on the other side!